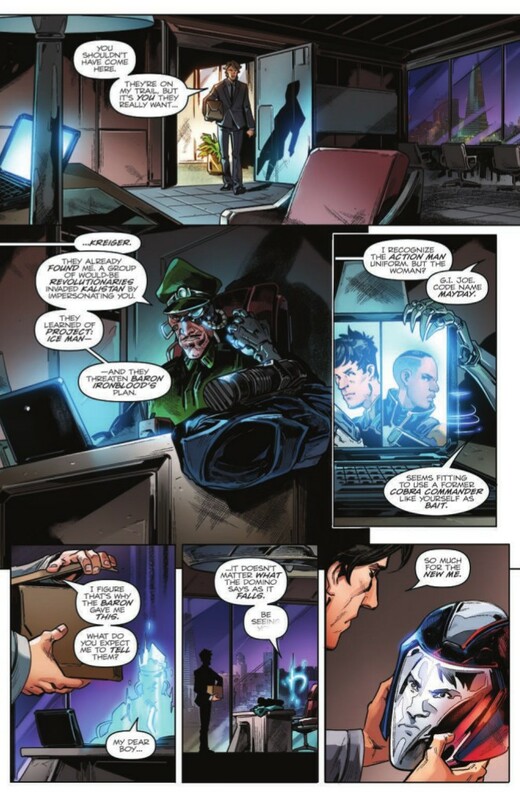 Just barely over a year after the initial Revolution issues hit stands, and several months after its originally intended release date, the final issue of Revolutionaries came out almost two weeks ago. 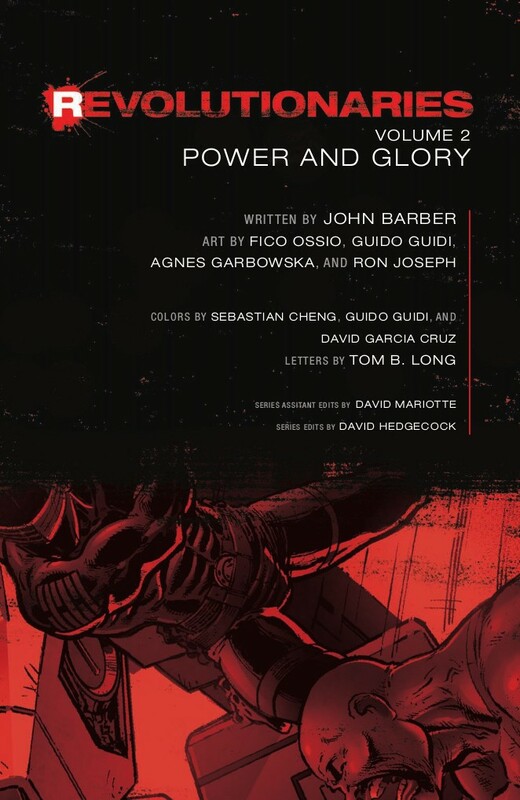 As we were not supplied with a review sample from IDW Publishing, this review is quite late. Couple this with yours truly suffering from post-TFcon exhaustion and, well, sorry about the tardiness. 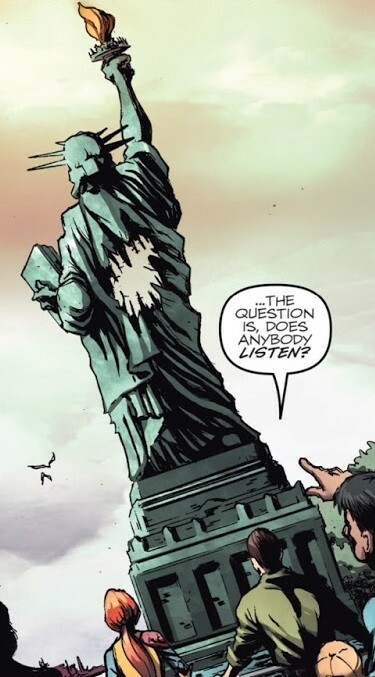 How is this issue, and how well does it wrap up this series? Read on to learn more. Remember, Titan Class Predaking next year! A book that started out being primarily about Kup and his human buddy Action Man has changed, with most of the plot from issue 5 and onward being directed toward the history of the Adventure Team (in-fiction, a predecessor to G.I. Joe; in reality, paying homage to some of the original Joe action figures hailing from the days before "A Real American Hero".) 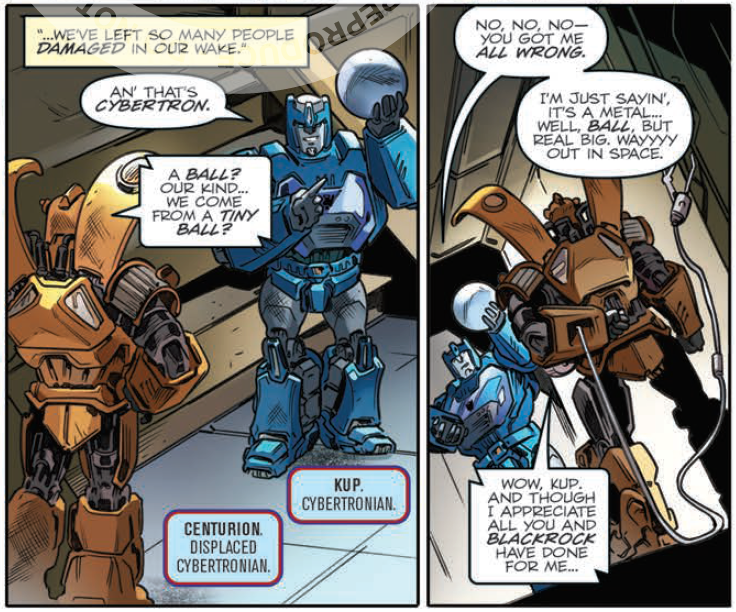 The narrative doesn't leave Kup and Ian by the wayside by any means, with their adventure still being the crux of the plot, but it definitely shares the focus in a big way as it has for the past several issues. Threads from the earlier (and too short) Action Man series aren't left aside either, which is a pleasing turn for myself and the three other fans of that book. Most of Action Man's cast shows up! Mostly. Of course, given the fictional roster of the Adventure Team in this series, by this eighth installment we've not had focus on its leader: "G.I." Joe Colton, the plot armored, narrative-charisma-sucking, walking Optimus Prime foil. 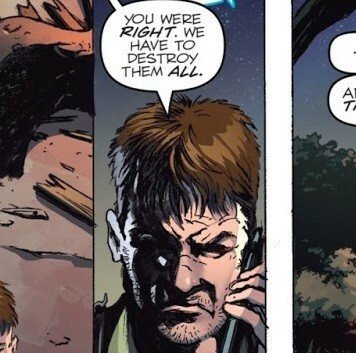 While it's great to see John Barber playing with this universe's continuity in a masterful way that other series in this "Hasbroverse" haven't been able to live up to, Colton has the same detrimental effect on Revolutionaries as he does over in First Strike. In particular, I mean to say that this character takes away all the stakes. 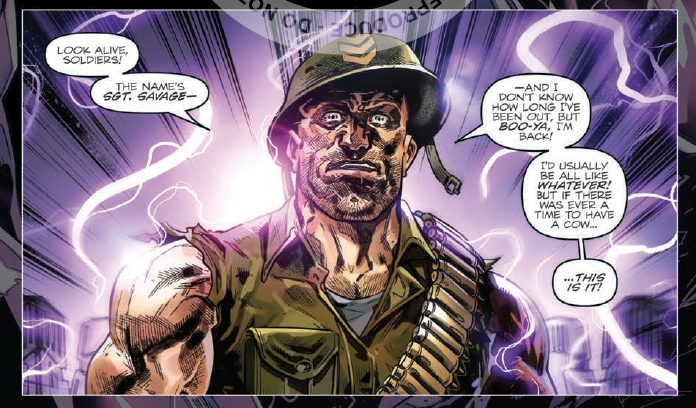 With the fakeout death he was handed in Revolution #1, coupled with the unfathomable good luck/timing/circumstances he keeps encountering in First Strike, prepare to have all tension zapped away once he enters the scene. This is thankfully where the drawbacks come to a close. The cheeky, self-aware, over the top, borderline cheesy/campy nature of the book continues here, lending a charm that manages to overcome the more flattened Total Brand Awareness characters like Colton. 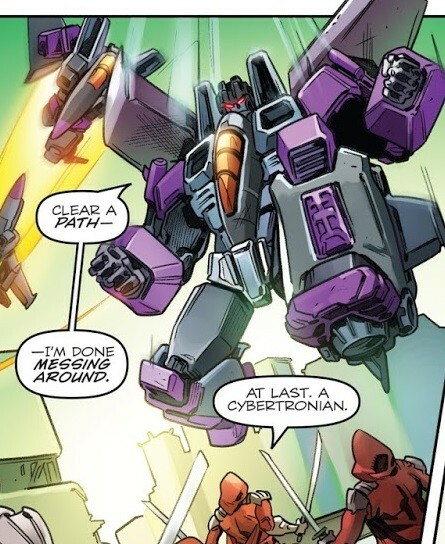 From Skywarp's wisecracks, to Blackrock seeing insane unimaginable events occur that he laughs off with a smile, the potential of the Hasbro universe is realized to a pretty great extent on many of the panels within. Remember Infraspace? No one will blame you if not. The line art duties are handled by series regulars Ron Joseph and Fico Ossio, and if you've read other issues of Revolutionaries you'll know precisely what to expect here. Though it must be said that just like many other artists more adept at drawing humans, as Ossio in particular shows, sometimes it just takes some time and practice to get drawing Transformers down. I do find myself agreeing with fellow site Administrator Dr. Va'al, in that the shifting artists throughout the course of the issue does take the edge off of some scenes. 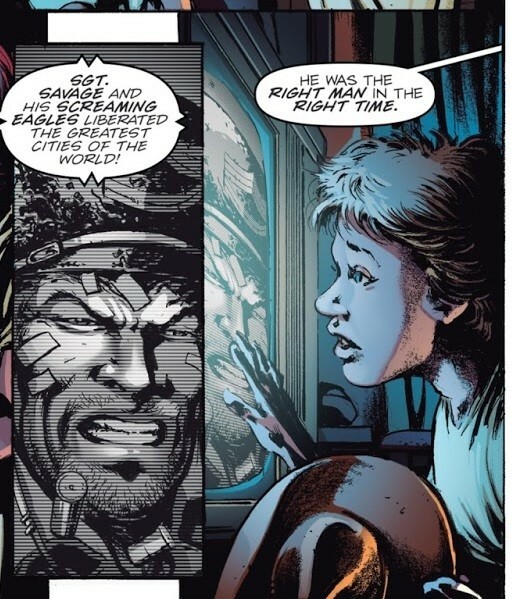 Placing at least this issue after the entire nine-issue G.I. Joe run. 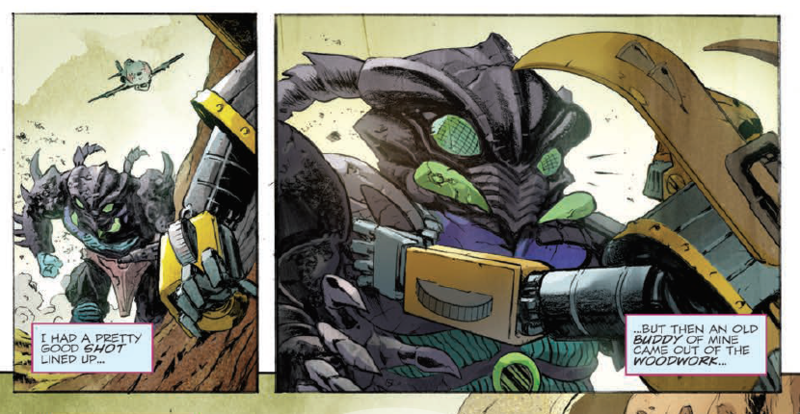 That said, the colors of David Garcia Cruz and Sebastian Cheng do help lend some consistency. Particular call-out is in store for the wonderful way in which these teams have found their voice through the techno-organic hybrid characters like Storm Shadow, Krieger, and Blackrock. 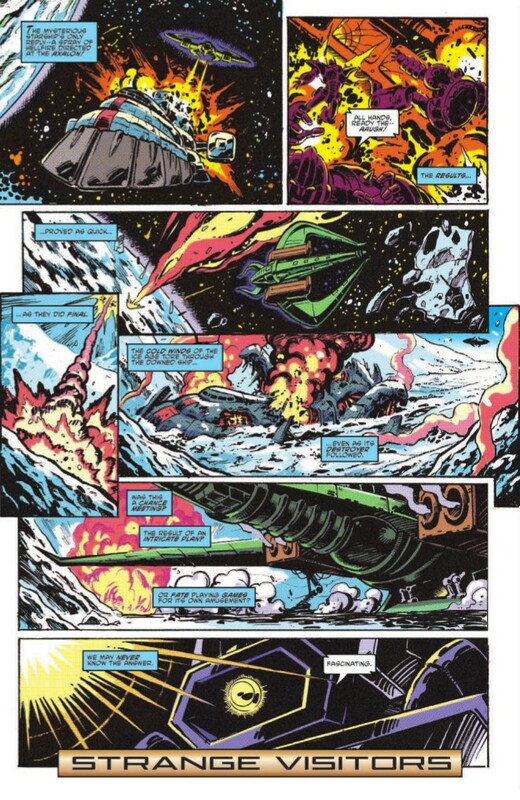 Were it not for the incredible Guido Guidi Beast Wars pages (earlier in the series, not in this issue) I might be clamoring to see some of their takes on our favorite Maximals and Predacons! As always, you can find full art credits and cover images in the Vector Sigma Database, just be wary of the spoiler filled character list! I have to admit that there's a part of me that goes easy on Revolutionaries from a critical perspective. It's not perfect, its surprises have been given away at every turn by publication delays, and there just don't seem to be many fans of the series. Despite starting from a disadvantage, this eighth issue is on par with the rest in its ability to just have fun and is both a fitting conclusion and a great, though sorely preempted, lead-in to the still ongoing First Strike. That wrap up may have seemed short, but this was intentional. We're not quite done here yet! 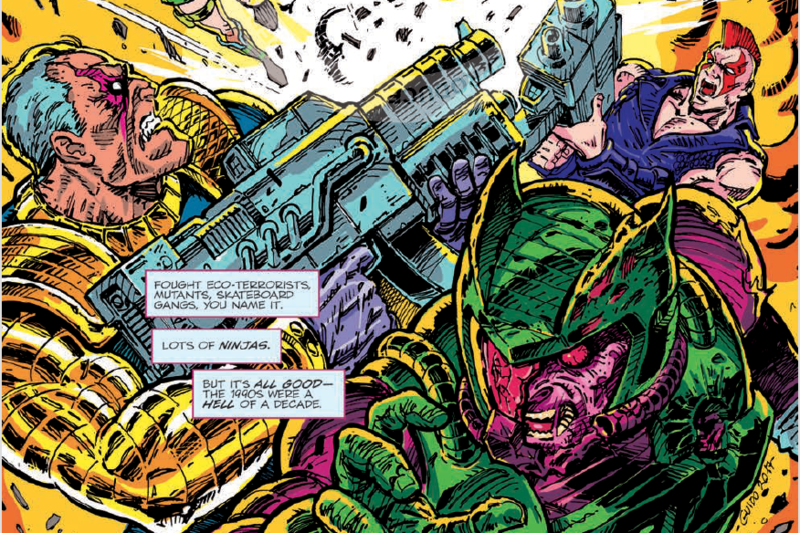 To say that IDW Publishing's creation of a shared universe of Hasbro properties has been less than well received by fans would be a monolithic understatement. My local shop's subscriptions are down for both Transformers and Joe, and things are worse for the Hasbroverse books with yours truly being the one and only Rom subscriber left in this pocket of Raleigh - they don't even buy extras for the shelf these days. Even our own site's owner has given up on Transformers comics for the first time in over 30 years. I was reminded recently by fellow podcaster Counterpunch that this shouldn't be a surprise to anyone. 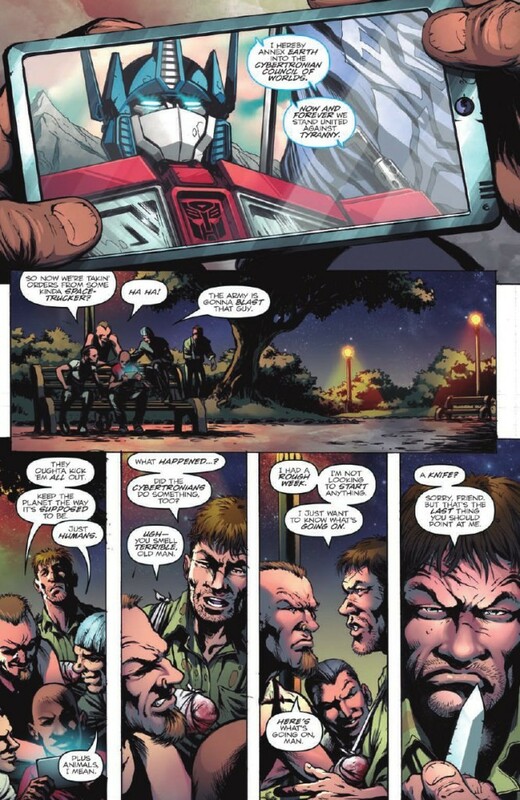 After all, Transformers fans went berserk and swore off IDW in late 2011 when they had the audacity to split the story into an entire two ongoings. It was only the quality of the stories that came after that made that whole ordeal, well, pretty forgotten. How much do these things cost to make? Because I kind of want to fund a whole series of this. You may be wondering how this is relevant to Revolutionaries. 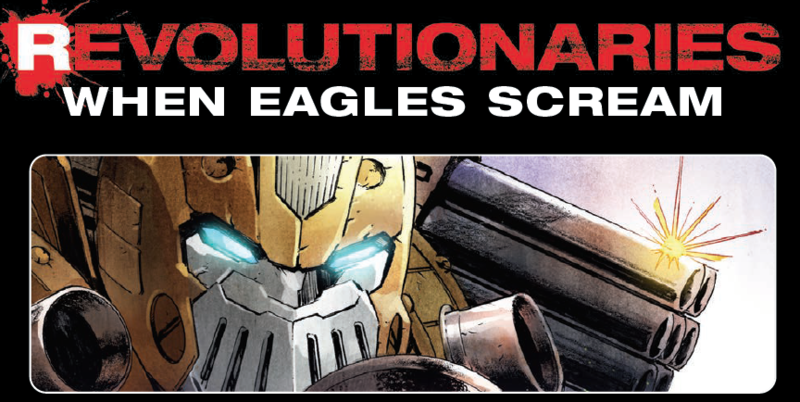 You see, of all the Hasbro Universe tie-ins, this series replaces Micronauts for me as the "one that I would recommend to Transformers fans" when looking at the post-Revolution material. 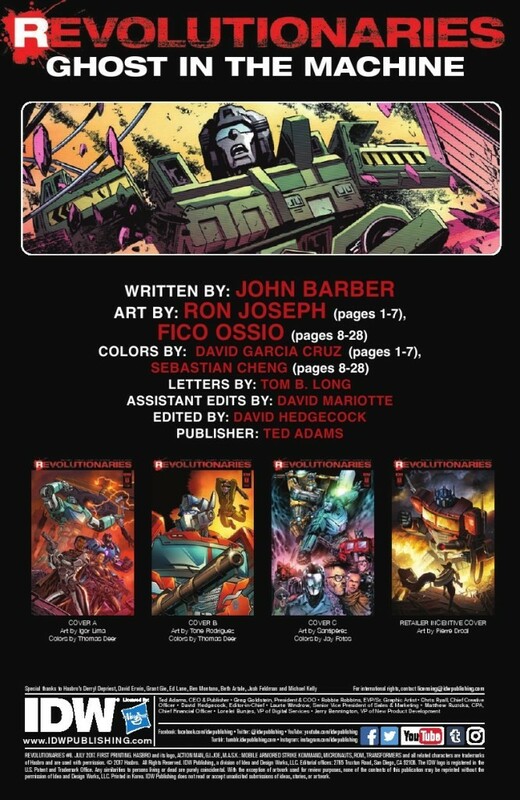 It features characters from other properties, yes, but the core cast was established in John Barber's Robots in Disguise/Transformers run, with Action Man serving as a really fun "plus one" - not to diminish his role, but maybe it'll help some potential readers get over the G.I. Joe hurdle they feel has been placed in front of them. Space Colton! That's not a compliment. The first issue, and maybe even the first half of this series won't ameliorate much if your default position is that these comics have gone too far, there are too many properties, and there are too many series to buy and keep track of. 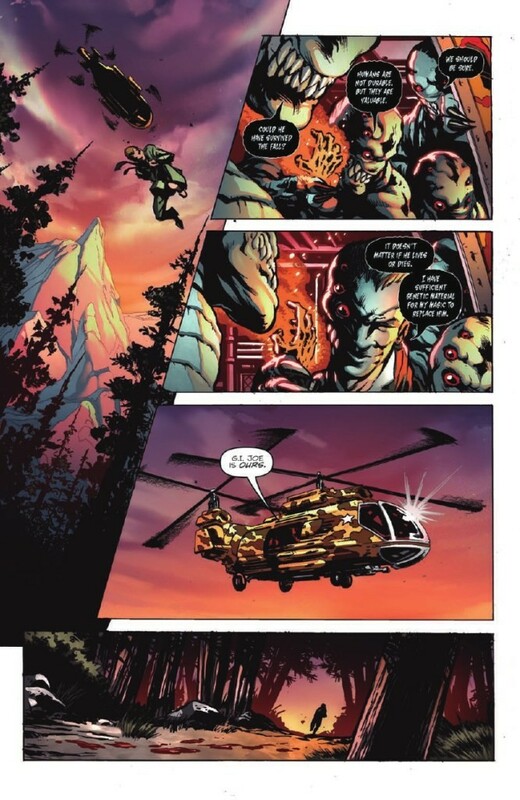 The first four issues' story arc does its job, which at that point was to (from my perspective) keep up the hard sell of this Hasbro Universe of monthly comics. The first trade is available now, and if you pick it up you may be wondering why, in hindsight, I recommend this title. It's really down to this second half, as I feel it's going to be looked back at as a pretty special thing despite a few critical flaws. They do, Mr. McCarthy, they do. They even referenced your story. 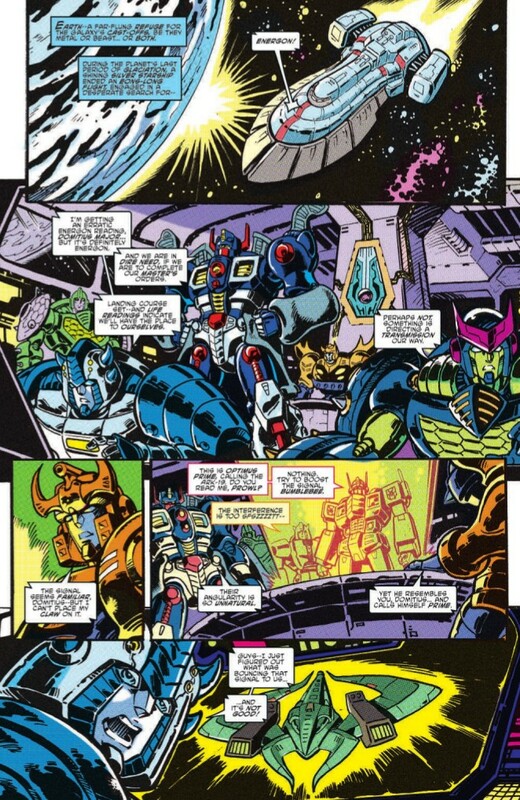 The continuity weaving that happens is outstanding in the entire run, but notably in the second half of Revolutionaries, you get all of the following and more: closure of a minor but conspicuous character absence in Spotlight: Soundwave; actual tie-ins to All Hail Megatron; references to Spotlight: Doubledealer; more closure on Kup's "Dead Universe" story; and even a de facto retcon of Hearts of Steel and Infestation 2 into the shared Hasbro Universe. 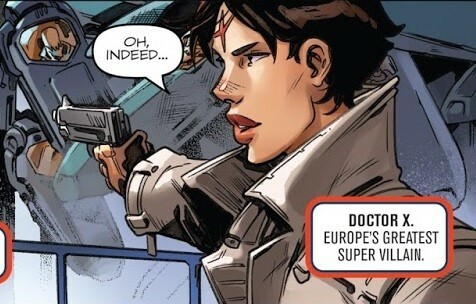 This doesn't even touch on the huge amount of material pulled from earlier IDW G.I. 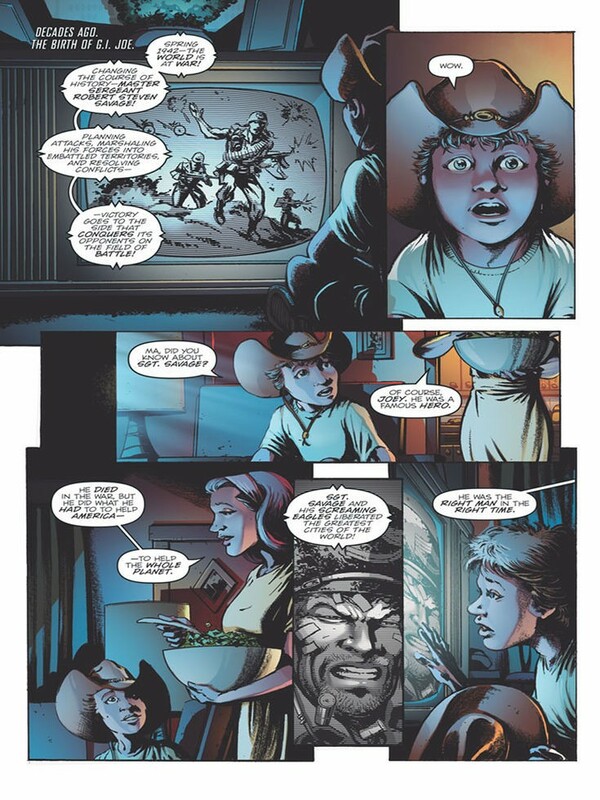 Joe stories, which I don't have any real idea of but the later pages of Revolutionaries #8 go through several Easter Eggs related to those books. We've jokingly nicknamed the author John "Continuity" Barber, but in this series you may come to realize he's no-joking, scary good at this world-building concept. To your left: Smarts, a good friend. 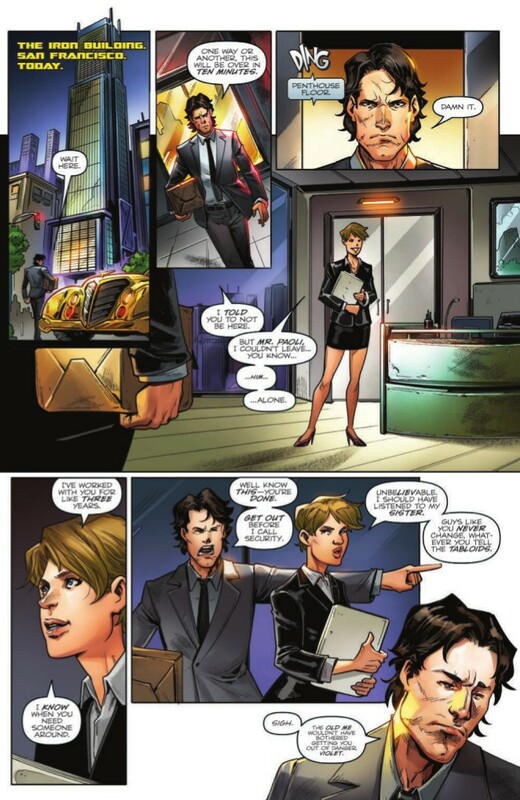 And then there's Revolutionaries #6, and you can find my review at this link. 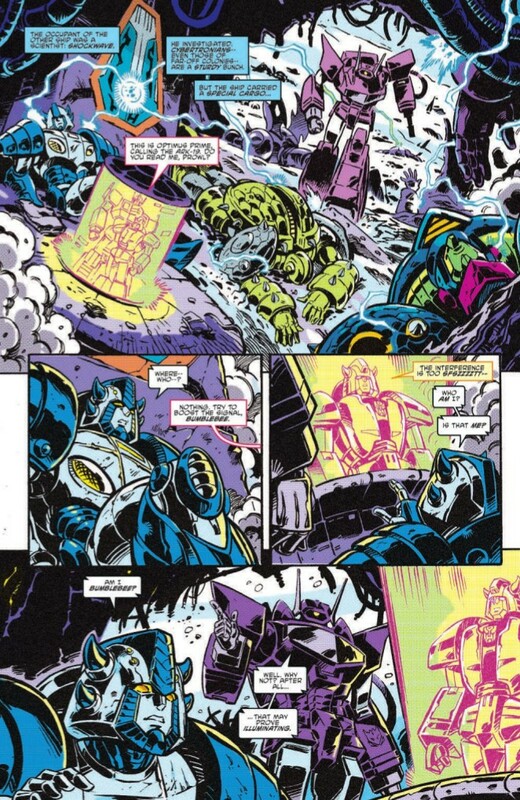 This might have had the fewest Transformers related panels and pages in the entire run, but is such a touching while simultaneously heartwrenching story that it really elevated the legitimacy of the second half as a good story that exceeded what should have been bounds made of Brand Building and Multi-Channel Cross-Vertical Storytelling Synergy. When the second trade comes out, it might be worth it just for this alone. Well, maybe after First Strike? And with that, it's time to wrap things up on this longer than normal review. While I'm sure any endorsement of these books will ring hollow to many readers of this site, for those of you not stomping your feet with your hands over your ears refusing to check out any IDW books right now, pay attention. You should give some of this series a chance, and also know that even if you just go and pick this one (or parts of it) up it doesn't mean you have to suddenly grab five other books at the same time. This will have you more than prepared for First Strike, if you want, and quite honestly will save you some time you don't need to spend as a "Transformers-only" or "Transformers-first" reader on other Hasbro Universe titles. In fact, I agree with pretty much all of this. 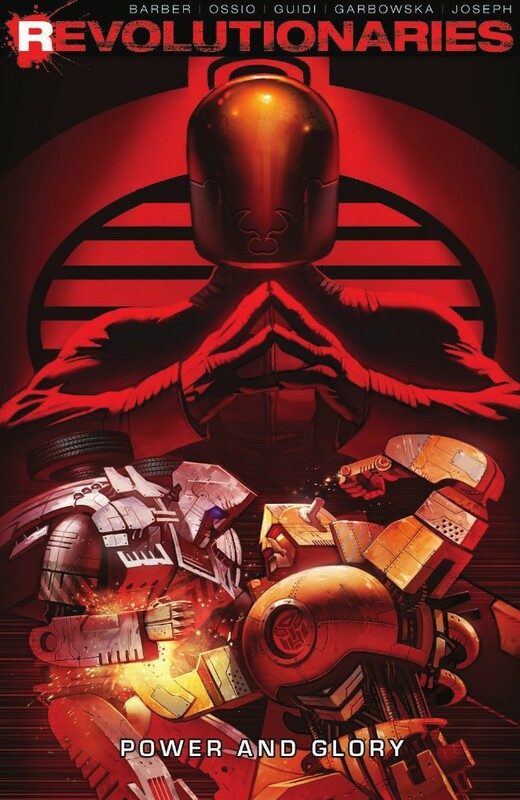 I remember back when this comic was announced I felt that with the multiple factors it had going for it - the Hasbroverse already being set up; a slower read spread out over a year; a self-contained story that you are not required to read; a fun little ragtag group compared to having to get every major player involved - this would be one of the positives to the Hasbroverse, one of the things that would prove it could be done right, and the polar opposite to Revolution in how well it's handled. And I feel that for once I predicted correctly. Revolutionaries was a very fun mini (maxi?) that deserves a lot more attention and credit than it gets. 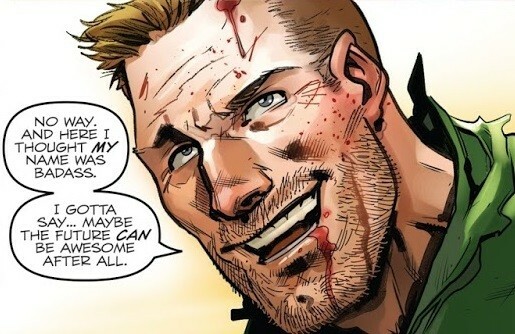 I can only hope we get something else like this after First Strike -- this time throwing Sgt. Savage in the mix; he is so entertaining and so deserves to be on this team! Checking in as one of the three Action Man fans, that series was wonderful. Now where are the other two...? 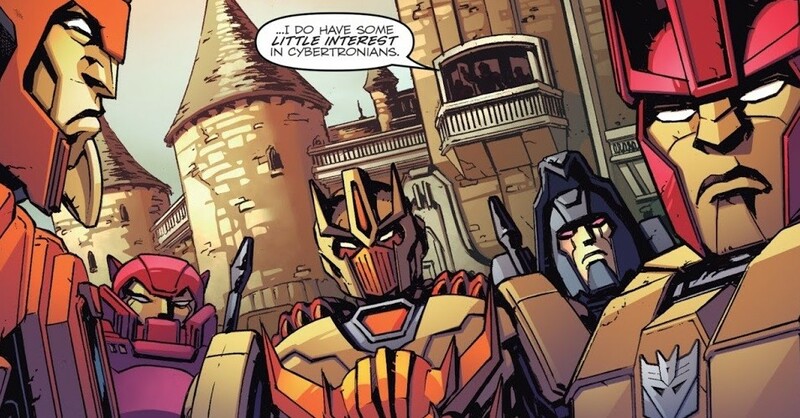 I've said it before though and I'll say it again: Revolutionaries is a better crossover than any of Hasbro's actual crossovers. And that's even considering the huge step up that first strike is from Revolution. The world building tie-ins were delightful even if half of them were to stuff I've only read about on the wiki, and it really managed to strike the right balance and tone for such a varied cast. I'm curious to see where they all end up next, as I don't think it's getting a direct continuation. Atomic Centuribee (I kinda hope he picks a new name for his new... self) seems to crop up on a couple of OP covers if memory serves, which is kind of a shame as the team could've done with another mech imo, but other than that I'm not sure? 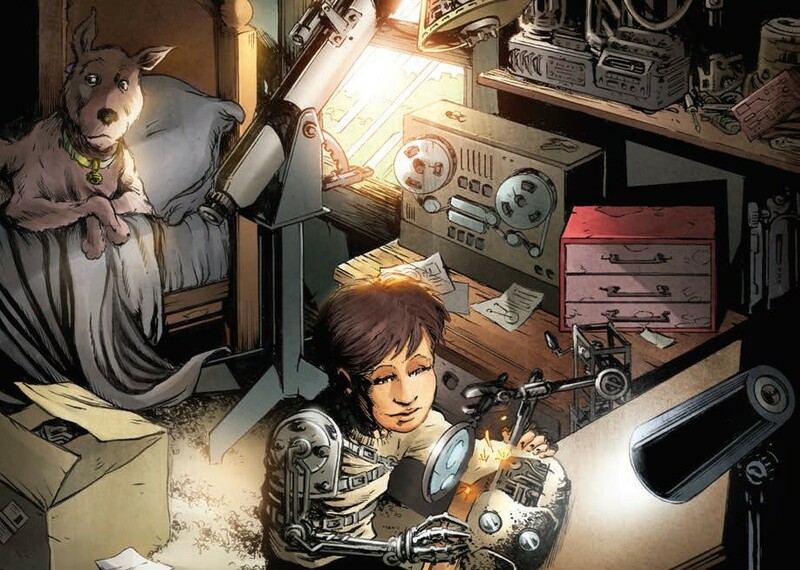 Maybe I've missed an announcement, but the only new serials I remember are Scarlett's Joe Sequel, Robot And The Small Robots, and Somehow We'll Make The Visionaries Relevant I Promise. Also, I've honestly not found the release offset too jarring, despite FS being 2/3ish of the way through already. Having not read Joe or Mask I don't know who half the villains are anyway, and both FS and Revolutionaries are at the same level of cool if you know them but fine if you don't, imo. I enjoyed the Action Man I read from the super IDW Humble Bundle a while ago. Was there more to that series? Or is it straight into revolutionaries? I am well behind with my comics at the moment, so info is appreciated. 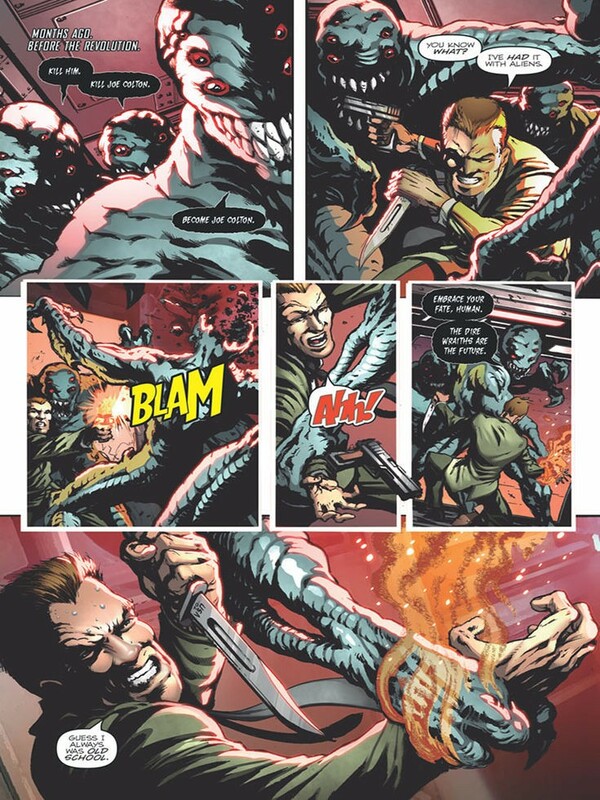 Big Grim wrote: I enjoyed the Action Man I read from the super IDW Humble Bundle a while ago. Was there more to that series? Or is it straight into revolutionaries? I am well behind with my comics at the moment, so info is appreciated. It ran last year for I think a 4-issue miniseries, with oneshot tying in to the Revolution event, in which he featured... probably? Tbh I can barely remember what happened in Revolution. Pretty sure the 5 have been collected into a TPB if that's your style. Then we have issues because Action Man was my favorite of the shared universe guys. He and Kup are a great team! Action Man came in at the last second in the final battle of Revolution, where he did... uh... something. For all intents and purposes, Revolutionaries was his ongoing. Scotty, looks like you counted wrong -- D-Maximus makes 5 Action Man fans here! Now that these designs are canonised, and with MMC having a distinct IDW leaning in their Reformatted line, perhaps there's hope for a revival and we'll get an HoS Bee? Kurona wrote: Scotty, looks like you counted wrong -- D-Maximus makes 5 Action Man fans here! I claim "figure of speech" Really cool to see it got around a bit more. I forgot it was in that Humble Bundle, I'm sure that helped a great deal! Action Man is the greatest hero of them all. People who don’t like Action Man are like people who don’t like fun. 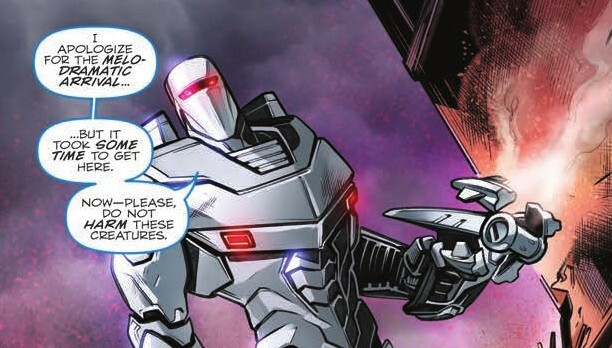 Rom isn’t a robot, he’s a guy in cyborg armor, and only 2 of the Micronauts, Microtron and Biotron, are robots. 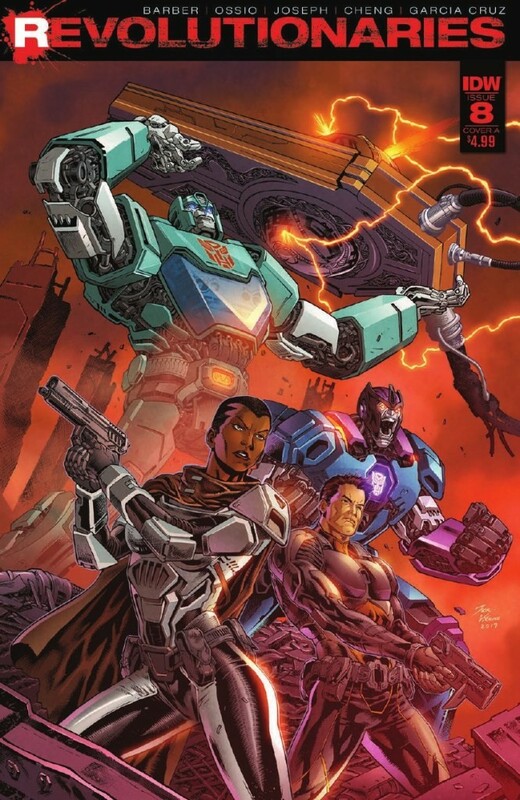 Coming this month from IDW Publishing is the second a final volume of collected issues from the bridge series between Revolution and First Strike, featuring the likes of GI Joe, Action Man, and Transformers in the characters of Blackrock / Sovereign and Kup: Revolutionaries! The series that showed best how the Hasbro Universe could work well is an essential and enjoyable read to pin down some of the major lore developments in the IDWverse so far, so make sure to pick this one and its predecessor up! 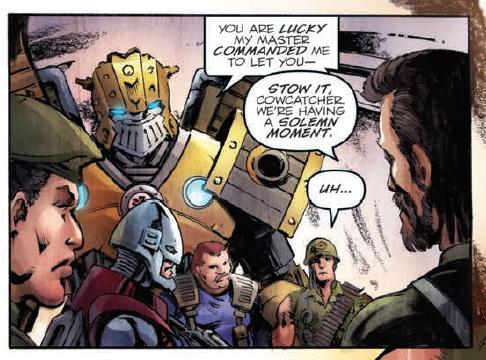 The team-up of the year continues as the TRANSFORMERS' Kup and Blackrock, G.I. 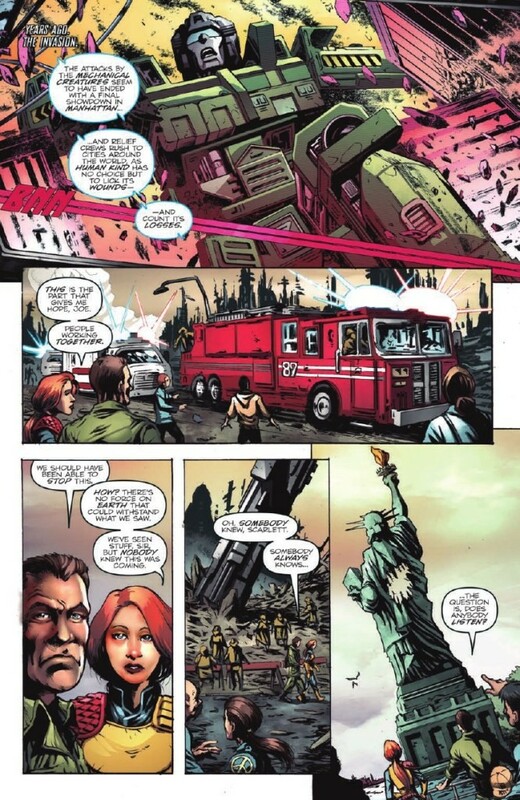 JOE's Mayday, and Action Man join forces with the likes of Optimus Prime, Sgt. Savage, and more to unravel the secrets of the newly formed shared universe! The team has the Talisman, a mysterious object with fantastic powers that dates back to when Transformers first visited the Earth. Now they just need to figure out why their enemies want it so badly! Leads directly into the events of First Strike! Collects issues #5-8. Advance solicited for November release! 7,591 pages were recently viewed by 1,525 unique visitors. This page was viewed 1 times on Sunday, April 21st 2019 7:43pm CDT. © 2019 Seibertron, Inc. DBA Seibertron.com. All Rights Reserved. Established June 2000. Seibertron.com is owned by Ryan Yzquierdo.